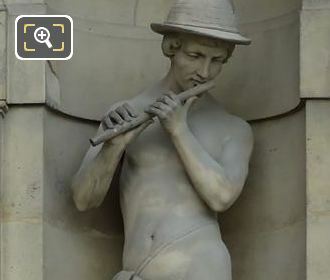 This time while still in the 1st Arrondissement at the famous Musee du Louvre, we took these high definition photos showing the statue called Le Fluteur by Louis Auguste Edmond Leveque, which is located on the Aile de Flore wing of this former palace and popular tourist attraction in Paris. 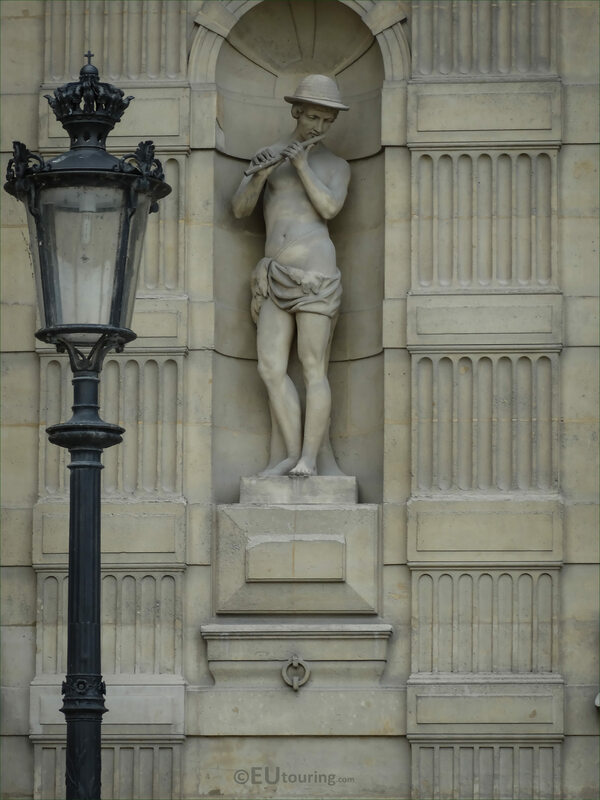 It was during the 1850s and 1860s that the Musee du Louvre was embellished with hundred of statues by different artists to make this an interesting building that can fascinate people for hours, and each one has a meaning, just like this statue of Le Fluteur. Now, this statue is actually located on the Aile de Flore wing of the Palais du Louvre, and when you are standing in the courtyard called the Cour du Carrousel, you will find this as the very first statue on from the left hand side within a niche on the first level of the facade. But when you try to translate Le Fluteur from French to English it comes out as The Magpie, however, as you can tell from this photo, this is not the case, as it is an allegory statue designed to depict a flutist, which can also be spelt flautist. 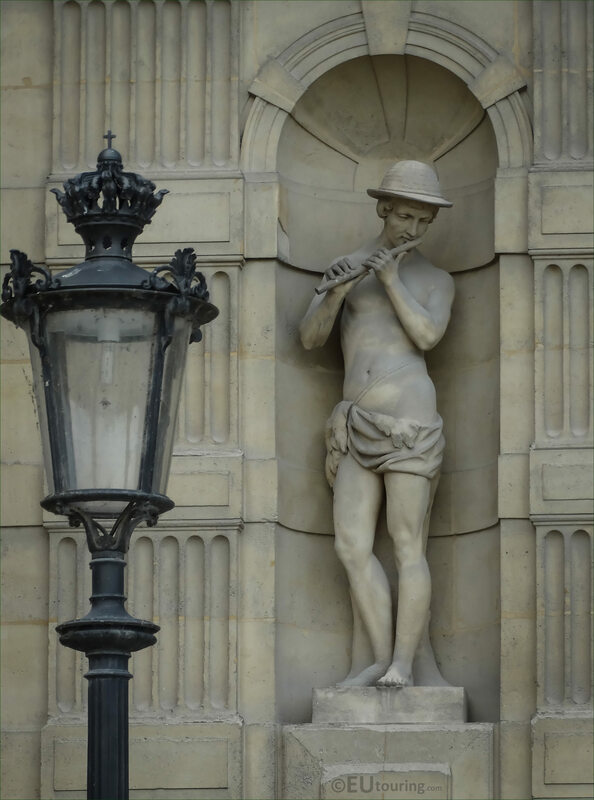 And The Flutist allegory statue was produced by Louis Auguste Edmond Leveque who was born in Abbeville in 1814 and became a French sculptor, creating this work in 1866, and he passed away in Paris in 1875.